2 by 3 Heroes: Thanks for the trade. I hate you. "Hate" is such a powerful word, but misused I think. The definition of the word is "to feel intense or passionate dislike for someone or something". Wikipedia really breaks out the idea of hatred even more than a simple Webster's entry. Hate, however, is really a difficult concept to convey. There are such varied levels of hate, that hate in itself becomes just a blanket word. You can hate a sports team, or hate a vegetable. You hate this actor, that movie, this song, that store.... I prefer the word "dislike". See, the opposite of hate is love. So you can't hate someone, but love something that person is involved in. I can't claim to hate Led Zeppelin when I have one of their songs on my phone. I can dislike them, though, and just like that certain song. The Stanley Cup finals start on Wednesday. My Hawks, whom I like, are up against the Lightning, whom Jeff from Wish They Still Came With Bubblegum likes. Jeff is new to the blog world, but getting his feet wet in the trading game. He offered to help with my GQ needs, and I offered to help with anything I could find, plus every single Lightning card I have in my trade box. (side note: more hockey cards will be available on Wednesday, so come back, ok?) Jeff was kind enough to hit more than my GQ needs. Not just base, but 3 for the Glove Stories insert and a couple white framed. I wasn't planing on putting together the white borders, but I will take any sent my way. I am one single card short for the series 1 base. Card #12? Anyone? 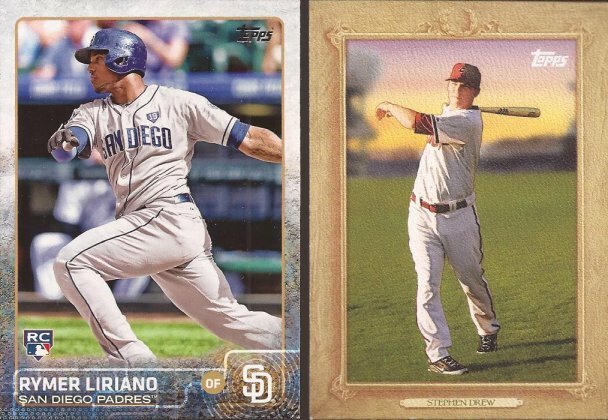 The Drew goes towards the 2010 Turkey Red insert set. I'm about 3/4 the way through finishing that. Some other White Sox junk wax additions I didn't have. 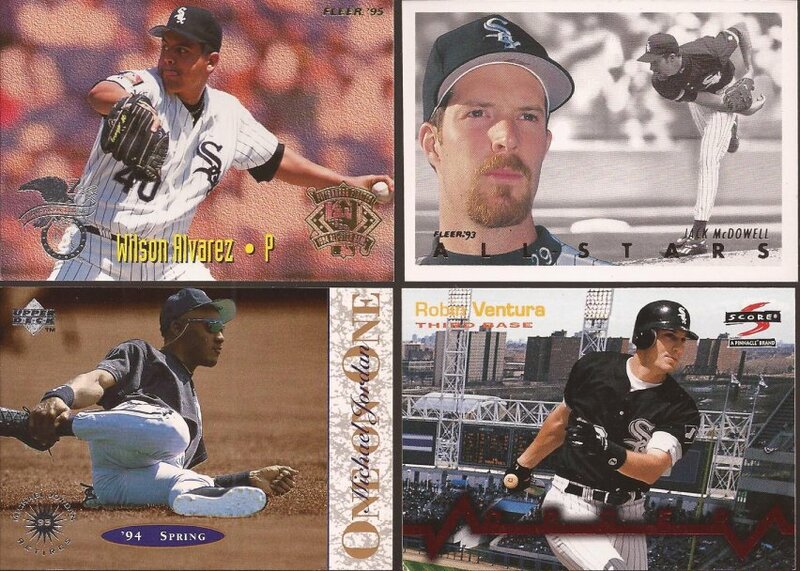 Man, I have never see the Ventura insert. That is the typical stuff the card companies put out in the late 90's. Love adding that to the collection. Jeff did put a couple Hawks in the package. I'm sure he was glad to get rid of them, as I was glad to receive them. Now that this trade is complete, I will hate you and your blog until we win the Cup. Sorry, it turns out that I love my Blackhawks. I hate you too Jeff, GO BOLTS home ice baby! That is my nomination for Best Post Title of the Year. Awesome. "Platonic love can exist between two grown men." 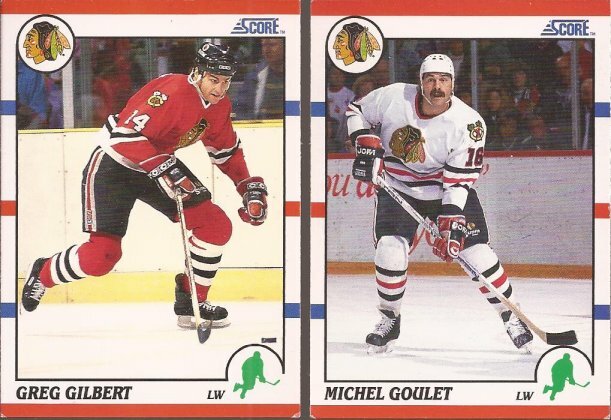 GOULET! What a great stache.